Choosing the right educational toys for babies can be fun and complex. Check out this list of top 8 educational toys for your baby! It is no doubt that toys offer extensive amusement and entertainment for babies. However, that’s not the only deal. Children can learn important concepts through interactive and engaging play. As such, Learning toys that can introduce numbers, shapes animals, letters and much more can be an excellent source to improve and learn a great extent of skill sets too. Choosing the right educational toys for babies can be challenging knowing that babies are still at the beginning stage of picking up their skill sets. Here’s a list of choices of 8 top educational toys for babies that will suit your baby the best! Skills developed: eye-hand coordination, shape recognition, memory recall, shape recognition, finger dexterity. We’ve seen this almost everywhere as this is one of the most popular baby toys, for the good reason, of course. They’re one of the best development toys for babies in improving their fine problem-solving and motor skills through this adorable set. ‘Fitting things together’ can be checked off your baby’s To-Learn list, thanks to this cute personalized puzzle. Plus, you get to give them a head start on spelling their own name. This toy spans for all ages and abilities. Any plush baby books would be any babies’ favorite toys! It’s designed to intrigue the little ones whilst helping them developing motor skills and such. With washable fabric, this toy is made of different fabrics along with hidden features like crinkling components and mirrors to keep the interest of your baby. Babies’ spatial awareness can be taught at such an early age and this toy is there to help. In the meantime, basic counting, the introduction of colours and shapes could be greatly taught here through the colourful design. It also encourages babies to have imagination in their play. Besides, the wooden blocks are safe for chewing on. Sometimes, the classics offer the best toys for infants. Like baby gym activity center for example. It can be simply put on your floor while having your baby reaching for toys. This builds muscles and helps develop their hand-eye coordination. Typically, plush toys are outfitted with mirror, bells, rattle, and so on to teach baby about space, texture and sound all in one. 4 pop-up animals are ready to pop out and play with your baby. This simple learning toy ascended each character in accordance to the colors. Each of these friendly characters emerges and is controllable with a button that varies in mechanism -- slider, push, switch, and knob, encouraging babies to memorize the mechanism. What makes this one of the top baby toys? With the press of any of the three buttons, melody and tunes will turn in for your baby. Meanwhile, the center button on the hammer’s head turns a backlight on with other sound effects. On top of that, there are over 20 musical tunes with audio that can read out numbers in English along with it. Should you want to control the volume lower, this sturdy hammer can have it in silent mode, which helps in quiet play. Let the re-creation of grown-up activities developed by the little one with one of the best learning toys! On the five sides, different activity on each cube-shaped toy makes it popular for the babies. Activities include buttons and roller that can light up and give out a variety of sounds. There are a total of 25 melodies and sounds entertaining your baby. The adjustable and automatic shut-off features for battery conservation enable this toy to be flexible for travelling. And, worry not, it’s BPA-free! Toys are an evident cause of a fantastic stimulant to a baby’s development. If used in the right way and at the appropriate age, the essential developmental skills can greatly be helped out in their development. So, it’s important to make the most of their potential! Do you have any other toys to list? Let us know in the comments below! It’s late at night, and you’re both heading off to bed. But just as you thought that you'd have a good night sleep, your boss baby cries. You may have hushed him to sleep, but it’s just the beginning of your sleep-deprived journey. It can be stressful, and you may think you can't handle it anymore. New parents commonly experience sleep deprivation in the first few weeks of raising their baby. While there’s no instant solution to getting enough sleep, these tips on how new parents can maximize their sleep might help. Most of the time, babies eat, play, and sleep - and the cycle goes on. But not doing the proper routine for your baby may affect his sleeping pattern. So, how should new parents do it? You should know about the Eat-Wake-Sleep (EWS) cycle. This is an incredible technique that can train your baby to follow a better daily routine. Once your child gets used to the method, he will become predictable. Then, you will know what's going to happen, and eventually, you get more sleep. Eat. Wake/Play. Sleep. This is how your baby’s routine should flow. You can feed your child immediately when he wakes up. After feeding, your baby can play or engage with other people for a while, and then he can sleep again. With the EWS cycle, you can prevent your baby from doing a wake/play-eat-sleep routine. If your child is used to eating before going to sleep, it can make your baby rely on food in order to sleep. 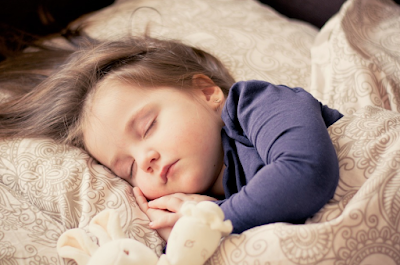 As new parents, you should know the right time for your child to nap or sleep. Take note that it’s not a good idea to keep your child hyped-up and tired. It can result in over-stimulation and he might have difficulties falling and staying asleep. This is also true if your baby gets little activity or is under-tired. It can only give him short naps. Create a weekly planner so you can keep track of your baby’s activities. You can also choose to buy a baby timer device like the Pocket Nanny. Finding the right schedule helps your baby take long and effective sleep. You can get more time to sleep too! Sleep deprivation can disrupt your biological clock. Going out for a walk in the morning lets you expose yourself to natural sunlight. You receive not just vitamin D from the sun, but doing this can reset your circadian rhythm. Exposing your baby to sunlight can also help him to have a regular sleep-wake cycle. Your sleep is as important as the sleep time of your baby. So, when your little child has gone to dreamland, you should grab the opportunity to get some sleep. Set aside any household chore and TV show. Sneaking in a good rest until the boss baby wakes up can help you sleep more. There might be times when you observe your baby jerking while he is asleep. This startle reflex can cause your child to wake up suddenly. A tight swaddle can prevent him from startling himself awake. 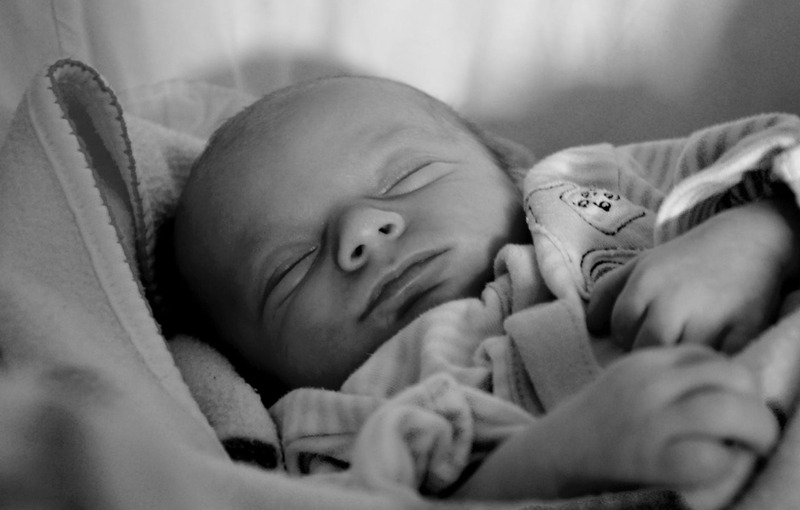 You can use a blanket or a shirt and tightly wrap your baby with the cloth to help him sleep better and longer. It’s not wrong to admit that you can’t do it alone. Even superheroes need sidekicks to defeat their enemies. Work with your partner or someone you trust to alternate baby duties with you so you can max out your sleep. White noise is an excellent tool for relaxing and stimulating sleep. This method can be used to help your baby sleep soundly. White noise resembles the sounds your baby heard while he was in his mother’s womb. These sounds can comfort your baby, particularly newborns who are still not familiar with the outside world. Where can you get white noise? You can find various sources of it. Fan sounds are considered one. You can also download free or paid white noise apps and audio files. There are also white noise devices you can buy on the market. Taking care of a newborn baby isn’t an easy task. As new parents, what you can do is to be patient, look into the bright side and think that your efforts are for your little bundle of joy. These how to maximize sleep tips for new parents can be a big help in your parenthood journey. Soon, your baby will become accustomed to having a sound sleep. Exercises during pregnancy are generally safe. Bear in mind that this is not the time for a weight loss program but rather to keep you healthy and energetic. You are always encouraged to consult your doctor or your midwife to make sure that your exercise routine is not harmful to you and your baby. 1. Maintain a moderate workout - if you start feeling lightheaded or out of breath when you talk, you are probably doing a bit too much. Remember that it is normal to feel tired faster than when you are not pregnant, so listen to your body and rest. 2. Drink plenty of water before and after your workout. 3. Avoid any intense and strenuous exercises in hot or humid weather that might make you dizzy or lightheaded. 3. If you are attending a workout class, make sure that your trainer is fully qualified and is fully aware of your pregnancy. Don't allow your trainer to force you to do more than you can - again, listen to your body. 4. You could try swimming as swimming helps with supporting your increased body weight. 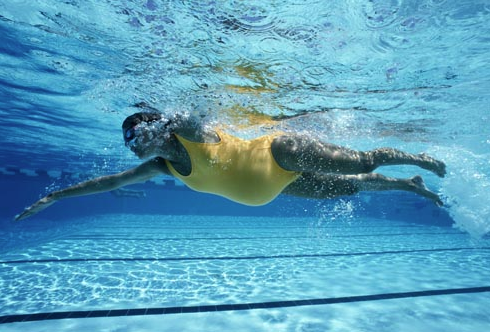 Remember not to dive or hold your breath for too long underwater as your baby needs the oxygen you breathe in. Keep your breathing steady and continuous while you are swimming. 1. Don't take part in contact sports where there is a chance of getting hit or sports where there is a chance of falling - such as kickboxing, tennis, football, skiing, or horse riding. 2. Don't take part in exercises where you will get too hot, or go to the sauna for that matter. 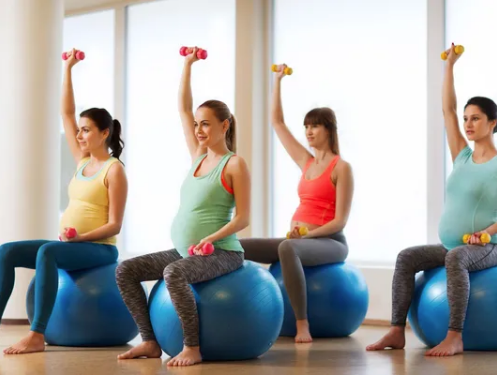 Your body's temperature is slightly higher during pregnancy hence intense exercises can increase your core temperature which may be unsafe for your baby. Exercise only in cool ventilated spaces and drink plenty of fluids! Toddlers in transition stage experience a lot of milestones. If you’re a mother and is keen with tracking your child’s development, this one might be important to take note. Knowing when your child is going to be ready for a bigger bed can never be planned in a timeline. Some may have it earlier, but maybe your child can tolerate a crib a bit longer. Just always remember to refrain from rushing or stopping your child from doing so. To help you avoid your worries about it, we made a list of the usual signs your toddler is ready to leave the crib for a bed. This is one of the most obvious signs that you can be able to spot. If your child’s feet already touch one end of the crib, it will be too uncomfortable for him to tuck himself up in there. But don’t fret! This is also a great sign that your child is constantly growing and reaching his full potential. When a kid climbs out of his crib, you may need to be alert every time. A kid has a tendency to do things on his own without you knowing. This may pose a safety issue for your kid. Try to, as much as possible, position the crib at the corner of the room. This will lessen his room for planning his climbing acts. Before going to bed, always make sure to let him know that climbing out of the crib is a dangerous act. Explain to him without offending his feelings. Let him feel that you are already considering buying a new and bigger bed and climbing out of the crib would not help from rushing it so. If your kid has tried to sleep in a bed safe and sound, then that is one great achievement for him. Credit goes to your kid because he has the initiative and understanding about what he is allowed and not allowed to do. But remember, even if he successfully did it a couple times, it is still a process that you both need to go through. Making some safety precautions may still be needed. One tip is to put soft, broad pillows just beside the bed. This will help provide a cushion, if, by any chance, your kid accidentally falls. You may think of this as your child’s thoughtful gesture (and we all love that), but sometimes your child can be too shy to tell you what he wishes to have. For instance, wanting a bigger bed. So as a result, he often jumps in and sleeps with you on your bed. Try to take note of the nights when he does this. A tip is to directly ask him if he already wanted his own bed, so both of you can prepare and do some transitioning steps. Some kids do not undergo some obvious signs that they may be ready for a bigger bed. But a few of them develops a thinking of having their own bed when they see some kids of their age sleeping in a bigger one. Be cautious enough to ask your kid and assess the situation, if a bigger bed is already a good option to consider. Knowing that your toddler is ready for a bigger bed is a great, but challenging transformation to both you and your child. Teaching your child to sleep on his own, in a crib, is already a lot of work. The next stage requires you to somehow go over the process again. If you struggled for the first time, you need to remember that your kid is still a kid. He may not understand you fully, so be patient and go over with him again in a light and slow manner. Know that at some point, your kid will definitely need to move to a bigger bed. And when that time comes, you both need to be ready for it. Not age nor other external factors and situation can dictate your toddler’s transition point. Not all of us are born to save money, especially when you're single! 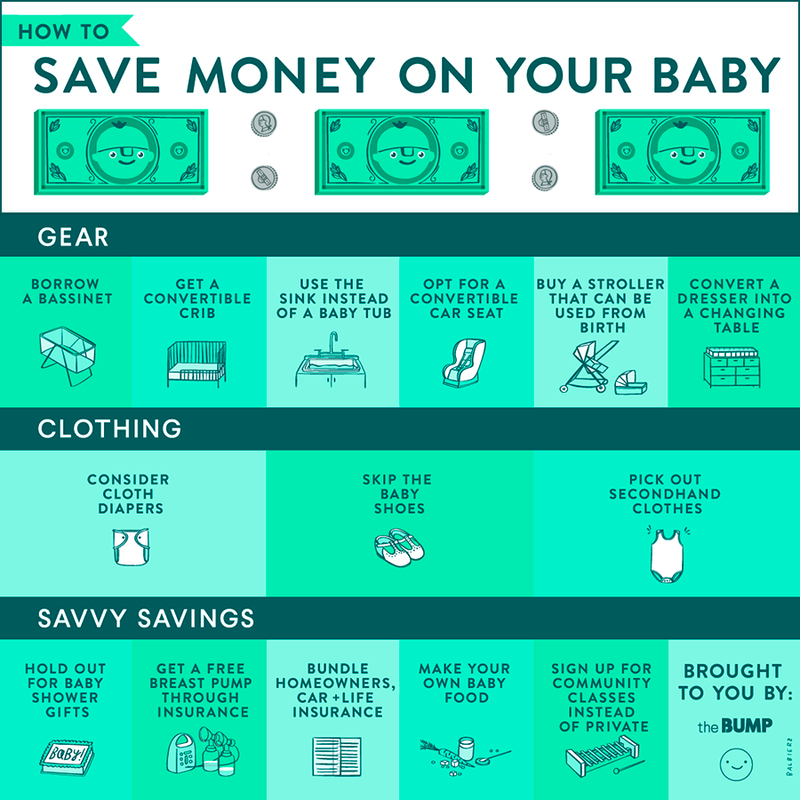 But when a baby is on the way, knowing how to budget is very necessary. 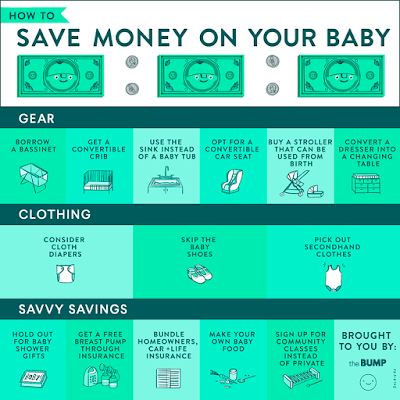 We have gathered some tips to share with you on how you can learn to save some money for the newest member of the family! 1. Buy second-hand clothes: for your maternity wear and baby's clothing. 2. Don't buy maternity clothes until you really need them: for first-time moms, your belly won't usually grow as big as if it's your second pregnancy. So you might still be able to use your current wardrobe and some looser ones in your second trimester. 3. Save clothes for your future babies. 5. Rethink that bathtub: because do you really need one? they just grow too quickly and the sink makes for a nice tub in the early months. 6. Breastfeed for as long as possible: not only will this save you on the costs for formula, it also comes with a long list of benefits! Like how it provides an ideal amount of nutrition for your baby, how it promotes a healthy body weight for the baby, and the list goes on. 7. Do your homework on baby products: for first-time moms, you will think you need all the baby items out there but you really don't. Research on what items you really need, like if you will actually use them, and only then make a purchase. 8. Buy in bulk: to save you money in the long run, this could be for items like diapers. 9. Make your own baby food: there are so many recipes out there for you to make your own baby food, they are a healthier option too! You really wouldn't want to get baby food that has a shelf life of 2 years do you? You will start to wonder how much preservatives are in them. So keep it fresh! 10. Don't get fancy toys: your baby will probably end up playing with your socks, your pillow, or pots and pans from the kitchen anyway. 11. Shop during sales: this is probably a given but be patient because it could still be months or weeks until the baby arrives, so don't get all excited yet or you might regret it later when you see the items you've recently purchased being on half-price sale the week after. 12. Don’t get emotional: we understand that this is easier said than done especially with all that pregnancy hormones, but don't shop when you're emotional as the excitement can lead to over-shopping for you and your baby! 13. Buy generic brands: and not high street brands because your baby will only be able to fit in them for a couple months until that onesie is outgrown. So resist the urge to splurge, they grow way too fast. 14. Ask for advice from other moms: ask them what items are really necessary to prepare for a baby, and if they had regretted purchasing any of the items. 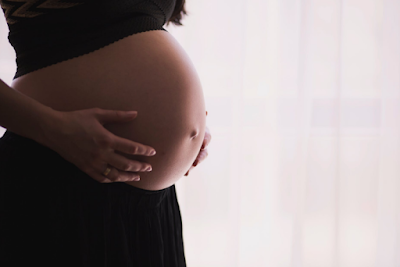 You might only start feeling your baby move in your 17th week, and if this is your first pregnancy, you will probably only feel it in your 20th-21st week. But you will have to note that every baby is different and some are more active than others. When I was pregnant (first pregnancy) I only started feeling my baby move on my 20th month. Tiny little movements, which showed to be different in the ultrasound at the doctors. On my visit to the doctors at 19 weeks, I could see my baby's feet kicking (very actively as though in joy) but I was barely able to feel it. Sometimes I would even confuse or wonder if the little feels that I feel in my tummy was my baby moving or just my tummy grumbling in hunger. As your pregnancy progresses, you will feel that the movements become more distinct and frequent. You will also feel your baby's jabs and elbows later in the months. Around 20-24 weeks you will feel your baby move more often, and at certain times of the day move even more. Sometimes when you're asleep your baby might be awake and moving, and when you're awake, your baby might not move as much. Towards the end of your pregnancy, you will feel more than 20 movements in an hour. A healthy baby will keep moving when you are in labour. What should I do if my baby stops moving? If you feel that your baby's movements have decreased or have stopped entirely after 28 weeks, it is best to contact your doctor or midwife immediately. It could be a sign that there is a problem. If you are worried, you could also try lying down on your side for two hours and focus on your baby's movements, if there are no movements for two hours, contact your doctor or midwife right away. How common are eating disorders in pregnancy? If you have an eating disorder, you are definitely not alone. An eating disorder is when people have an unrealistic view of themselves, on their body weight and body shape. They think they are fat when they are not. This may sound normal to many people, which is why often people don't usually seek any help. However, if you are pregnant and you feel that you have an eating disorder, it is really important to seek professional advice so that you and your baby can have a healthy pregnancy. During pregnancy, it is very natural that you gain some weight - on average about 10kg to 13kg. Some pregnant moms go through morning sickness and will avoid certain foods (even foods that were a favourite before pregnancy) and some moms will crave certain foods (even foods that they have not eaten before). So try not to worry when you find yourself focusing on a particular type of food - pickles are the most common favourite during pregnancy! It is very important that you speak to a healthcare professional if you think you have an eating disorder, you may not see it now but the harm can be greater during pregnancy as your body and baby demands more nutrients. Some of the harm that could happen may include bone damage, stomach ulcers, blood circulation problems, and kidney damage. Being a mama is no piece of cake! The first few weeks of having a newborn can be overwhelming, they bring so much joy and so much exhaustion at the same time! Most moms would tell us that they just enjoy putting their babies to sleep and watching them smile in their sleep, sending them away with the best of dreams. But they will grow faster than anything else, and before you know it you are trying all you can to put them to sleep so that you can get grab some sleep for yourself too. Then you will be ready for your little pumpkin to start learning to self-soothe themselves to sleep. This is a crucial development skill for your baby of which will help their bedtime routine into their toddler years. Many of us find routines boring, but they are definitely comforting for babies. This prevents confusion for the baby during the day of what and when they are supposed to be doing things, like mealtime, bath time, nap time, reading time, and bedtime. They will then know exactly what they are meant to do. When putting your baby to sleep, instead of rocking them back and forth in your arms, try and start holding them still until they fall asleep. This gives them the same environment as when they are laying alone and still in their baby crib. This also means that if they wake up in the middle of the night, they won’t expect you to rock them back to sleep. Most experts agree that teaching your baby to sleep on their own is best achieved through laying them down in their crib still awake. This does not necessarily mean wide awake, but drowsy even with their eyes closed. What’s important is that they know they are alone in their crib and not carried by you. They will then associate being put in the crib with going to sleep. If they wake up later in the night, they will learn that they don’t need you to help them fall asleep again. The internet may provide you with hundreds of ways to put your baby to sleep. But it is best to just stick to one, even though it may seem like it isn’t working in the beginning (and it may be very tempting to try other methods, don’t) because it will only be confusing for your baby. All your hard work could just be thrown out the window. 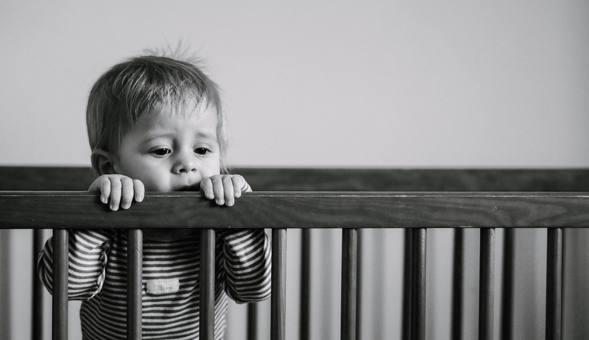 For many parents, they would feel guilty leaving their baby alone in their crib or fear that the baby will feel lonely without you. But don’t give up, it’s not an overnight process. It’s only possible if you stay strong, and both you and your baby will be so happy you gave it a shot! Do you have that extreme hunger feeling in the middle of the night, even after you have eaten so much for dinner and during the day? Well, that’s pregnancy for you! Unfortunately, there’s nothing much you can do about it but eat! What you can do though, is eat healthy by not having that chocolate cake past midnight! Have a light snack and keep your fridge stocked up with healthy snacks like almonds, walnuts, yoghurt, dried fruit, avocado, carrots, breadsticks, quick cooking oats. You get the idea. But most importantly, stay hydrated mamas! For so many people, being pregnant is the best thing in the entire world. The hormones making you happy and energized, you are radiant, peaceful and feeling serene all the time. You glow and everything is wonderful! We feel sick, we’re tired, we feel like whales, and worried all the time on how the baby would turn out. But really, it’s normal. It’s normal not to love being pregnant. For sure it is a special time for the whole family, but at the same time, it is a very intense period of physical, mental and emotional change. Some negative emotions are very normal and it is important to acknowledge that, or pregnant moms can feel isolated and guilty. Of course, if you are feeling ill, uncomfortable or sad, you should talk to your healthcare provider to rule out any serious issues! What can I do to help my baby learn in the womb? During pregnancy, our womb is like a sensory playground for our baby. It’s known that from about 10 weeks the baby is already wriggling around and stretching in our belly! 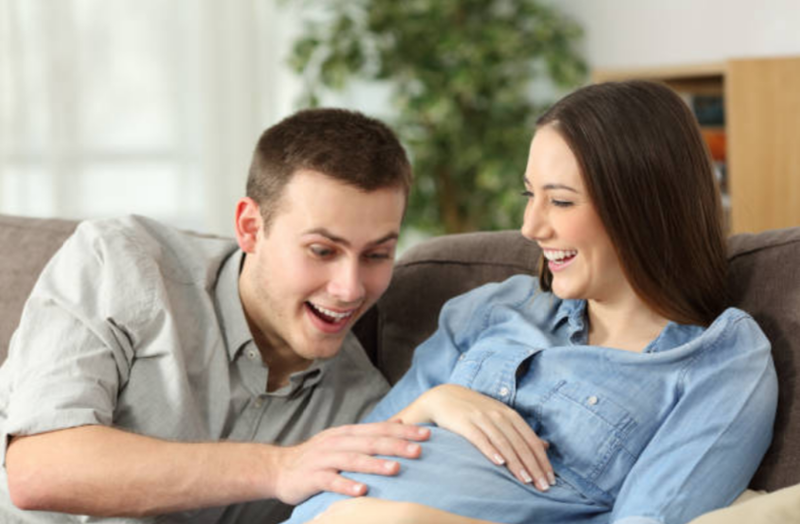 Once the baby reaches 20 weeks, the baby will be able to hear our voice and other sounds around us, the baby might even be able to respond to us by moving around more! As moms, we can certainly help our baby’s natural cognitive development by interacting with our baby. It can be singing or talking, and this comes as a simple form of learning for the baby in the womb. This might even help the baby to recognize our voices and bond with us after birth. For many moms, interacting with their baby bumps helps them relax and deepen our feelings for our little ones. Other things you might be up to doing could include gently touching, rubbing, or massaging your belly. In the last trimester, you could even respond to your baby’s kicks by gently pushing against the baby, or rub your belly where the baby kicks. See if the baby will respond to you! There are obviously a lot of things that need to be done before the baby arrives. But one of the many things that we are always most interested in is spending that cash! I mean, who doesn’t love shopping! For most new moms, the minute they find out they’re pregnant, they are already eyeing on baby things online or in stores (on top of all the maternity fashion). Here are a few essentials that can help with your shopping thoughts! What is the best way to select a name for a baby? This can be a real challenge for myself and my husband (somehow someway a challenge for our in-laws and relatives too!). Countless names would come across our minds and we would repeatedly ask each other What do you think of this name, what do you think of that name? What if the baby is a boy, what if the baby is a girl. But trust me, this is all so normal. My best advice to all new moms out there is to not take too long a time to come up with a name. And definitely think of a name before the baby comes around. Stick to a name, and fall in love with it. Basically, consider if you want your baby to have a unique name, if the name sounds good with the surname, if it has a special meaning or a story behind it. In addition to that, you can think about your own passions, experiences, people you know or you’ve met in the past, and ancestors in the family for example. This might give you an idea of a good and meaningful name.